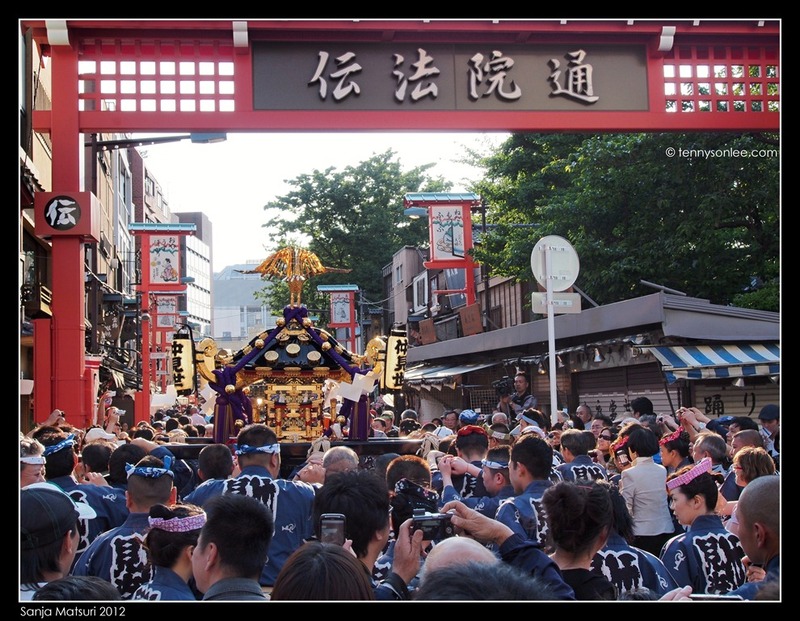 The first day festival started with the procession known as Daigyorestu. 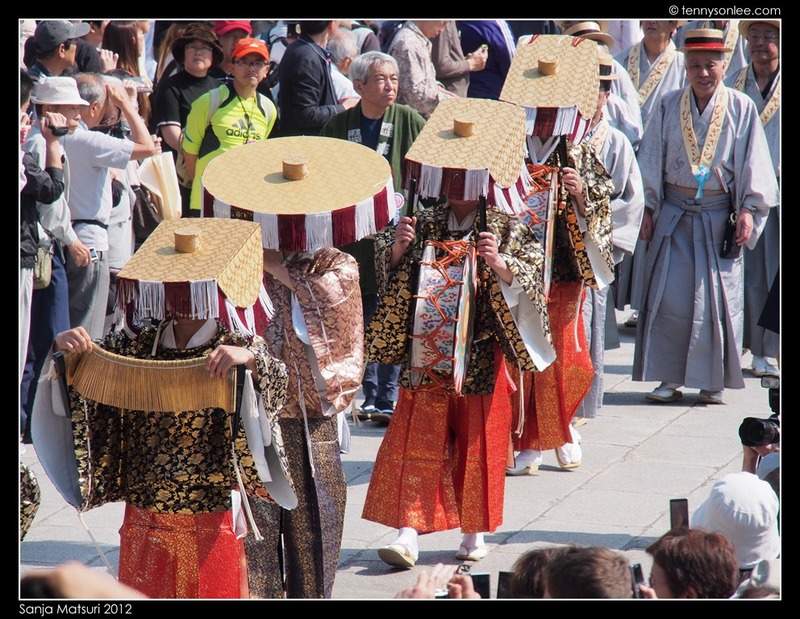 The procession consists of priests, musicians, geisha, and performers. 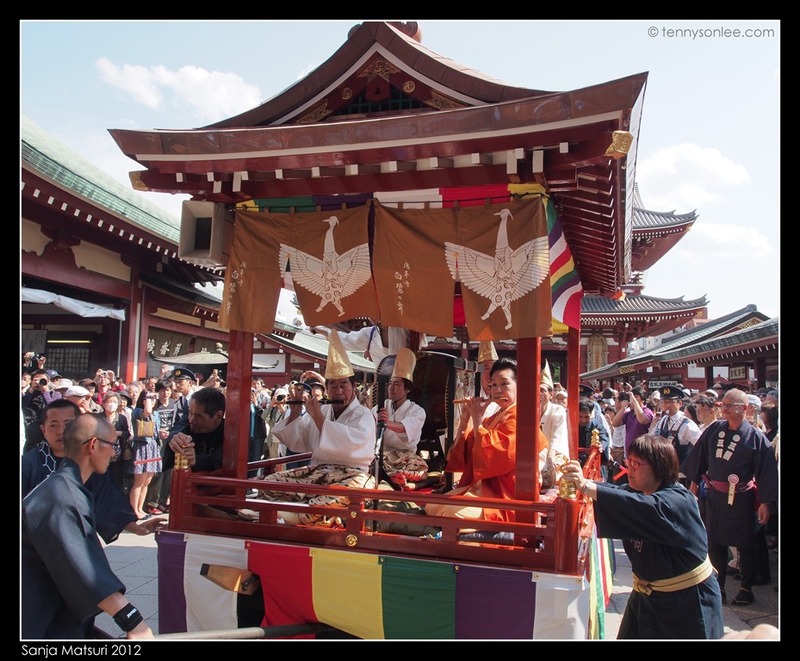 The procession passing through Hōzōmon Gate progressing towards the Kannon Hall. 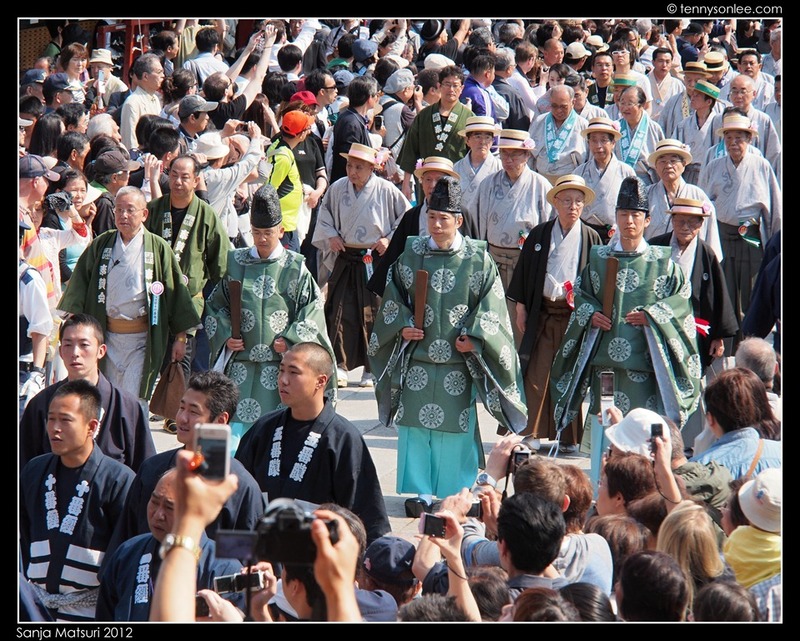 On day one, we were standing on the staircase of the Kannon Hall looking down on the parade. 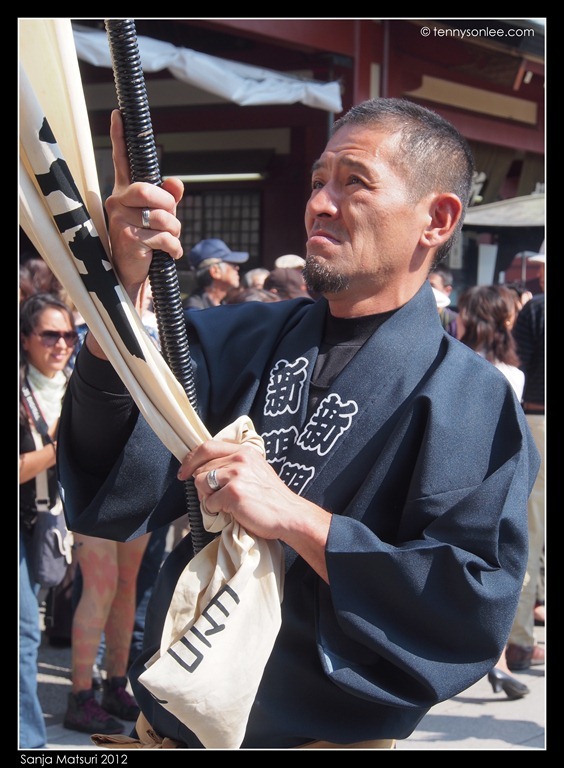 A group of city officials were wearing hakama. There were countless cameras and camera phones. There was also a few less considerate photographers using monopole and cable release to take pictures, so whoever behind these camera poles will have the ‘stick’ in every frame of their pictures. I tried my best to focus on different area to avoid more cameras than people in my pictures. The Binzasara musicians have the interesting costumes. 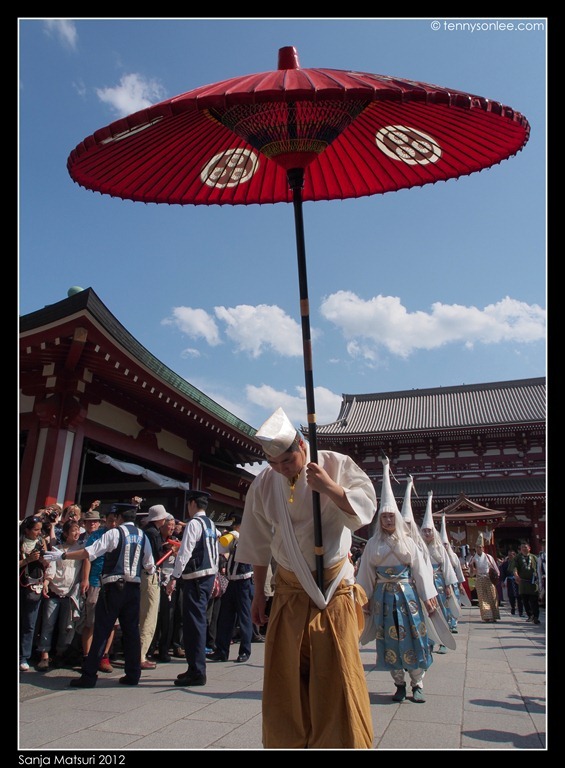 Binzasara performances were conducted later at the Asakusa Shrine. 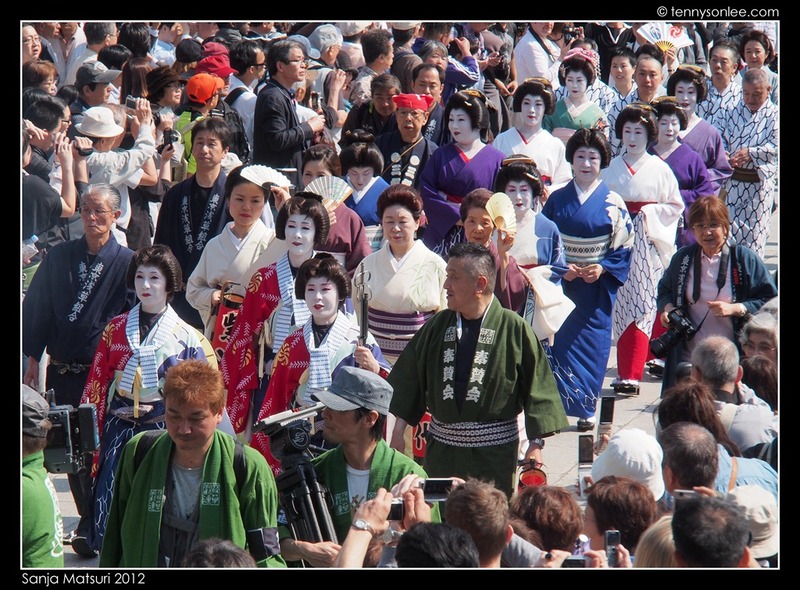 It was not easy with get a glimpsed of the faces behind the veil, especially standing behind a large crowd of spectators. 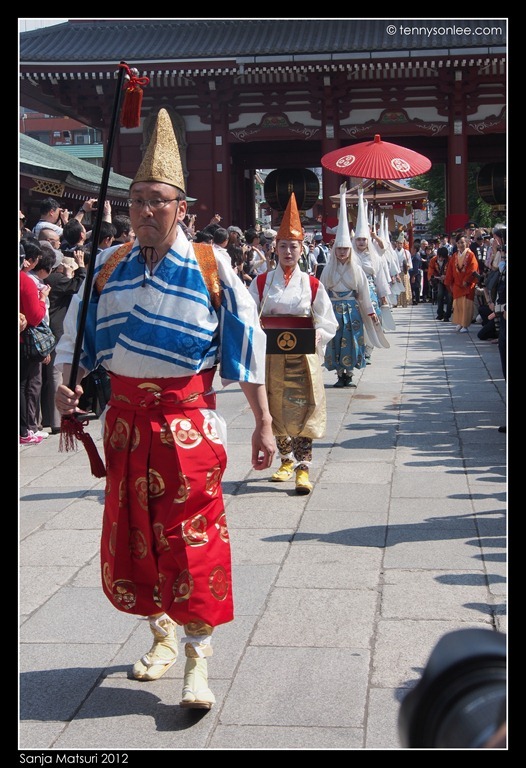 There were also floats that carried flute and drums musicians. 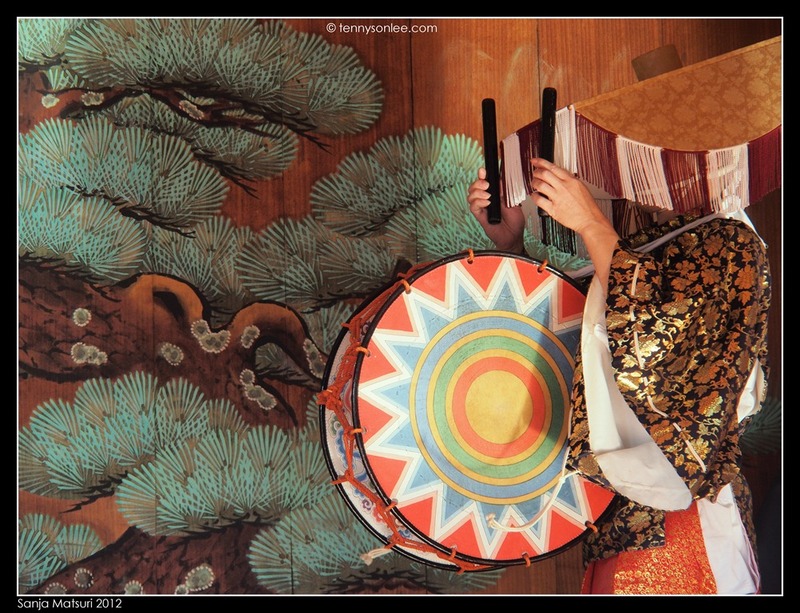 The costume for the performers were very colourful and interesting. 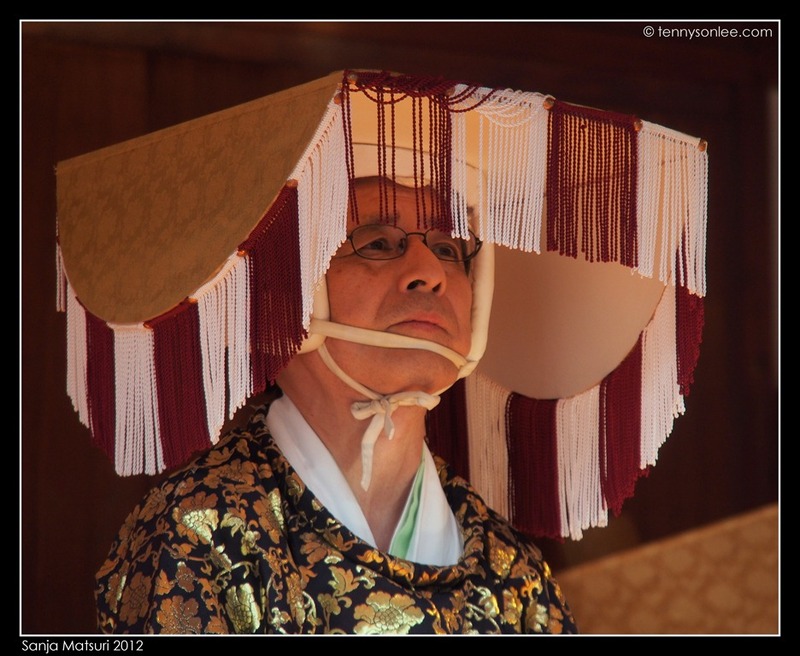 The ladies in white costume were dressing as the Japanese heron (or crane?). The procession ended in less than 15 minutes from where we stood and watched. 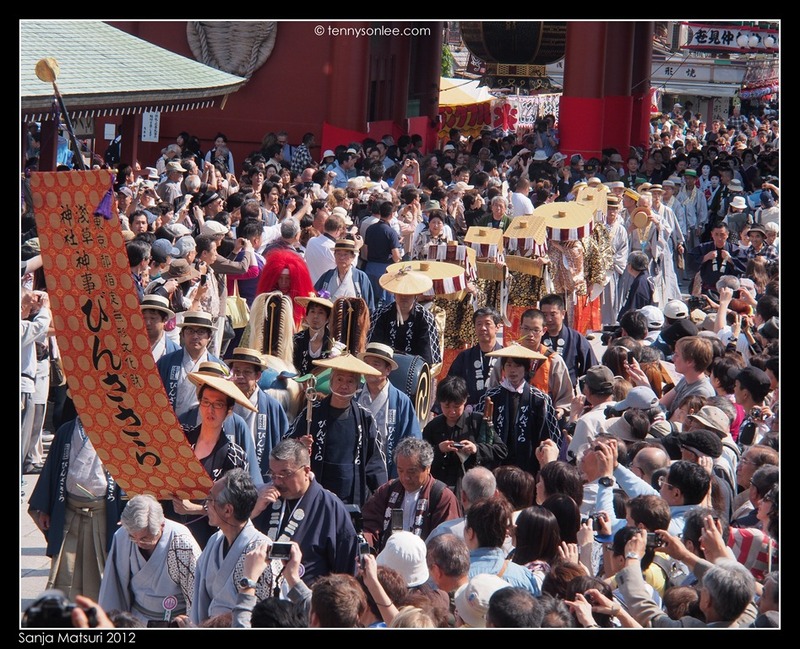 Later in the afternoon, the local Nakamise community started their procession on day one within the shrine compound. 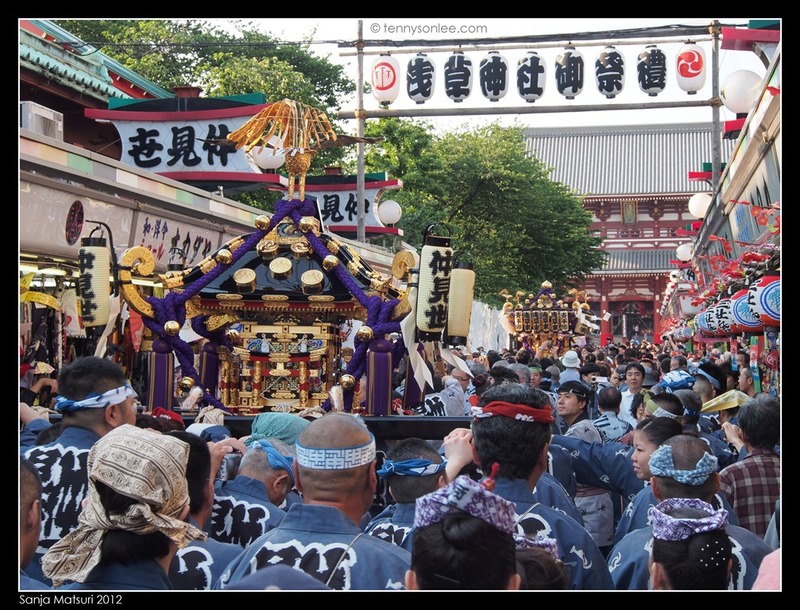 Everyone seemed to be ready for the bigger event on Day 2 and the epic procession on Day 3. This entry was posted on May 18, 2012 by Tennyson. 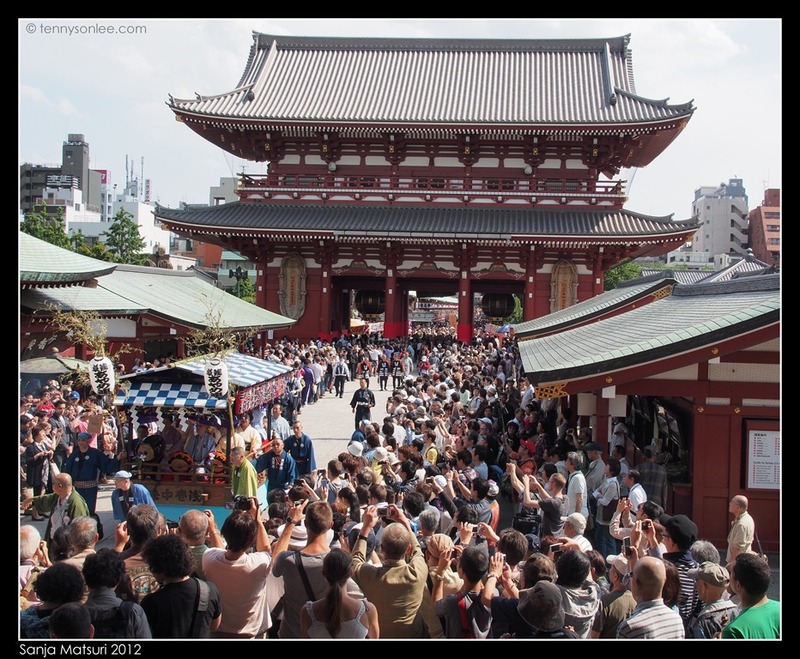 It was filed under Japan, Places, Tokyo and was tagged with Asakusa, 编木舞, Daigyoretsu, 艺妓, geisha, Sanja Matsuri 2012, Sanja Matsuri procession, 巡遊, 浅草三社祭.